A route with many complex weather conditions! The Défi Atlantique Guadeloupe > Horta > La Rochelle or the total of the challenges to face during a winter Transatlantic race from west to east, aboard Class40 monohulls! 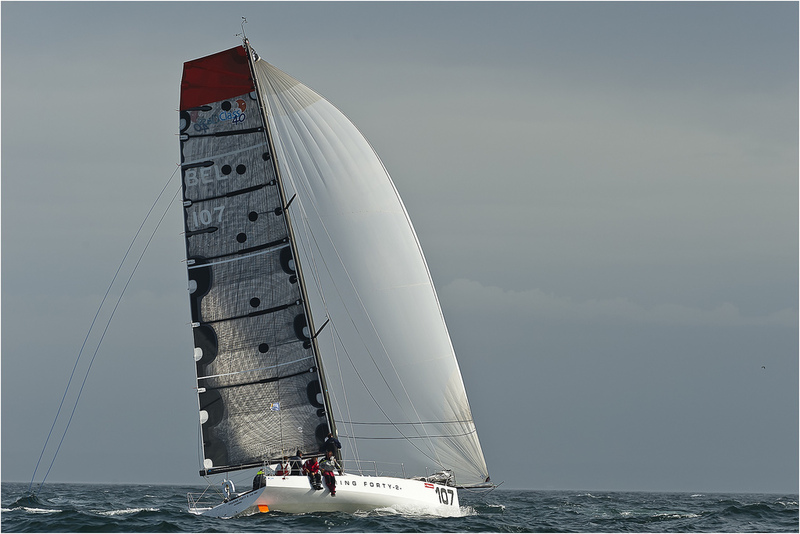 Created in response to the combined requests of the Guadeloupe Region, the Municipality of La Rochelle and Class40 skippers, on 23 March, this new event will offer about fifteen participants from the latest Route du Rhum-Destination Guadeloupe, the chance to race their monohulls back to mainland France. Grand Pavois Organisation has devised an extremely challenging route in sporting terms which departs from Pointe-à-Pitre and heading for La Rochelle via a stopover in the Azores. A total of about 3,500 nautical miles along a route that is highly uncertain at this time of the year, where powerful weather systems circulate and may require competitors to make drastic route choices. With a team-mate or a reduced crew, the Défi Atlantique Guadeloupe > Horta > La Rochelle caters in all aspects to the requirements of the Class40, always hungry for new experiences and new horizons. “This Atlantic Challenge is an intelligent way of bringing our boats back to Europe after the Route du Rhum-Destination Guadeloupe and the Caribbean 600”, declares Halvard Mabire, President of the Class40 and co-skipper of the Campagne de France sailing boat registered in the race. “On a more serious note, and from a sporting point of view, we are offering two half-Transatlantic races, with a first 2,200-mile stretch to the Azores, and the negotiation of its low pressure system which is always delicate at this time of the season. Between the Bermuda Anti Cyclone and North Atlantic high pressures, the choice and length of route, and the sailing speed, may vary drastically, thus leaving the competition wide open.” Although bad weather cannot be ruled out by the competitors, they will attempt to face it downwind. “The neutralisation of the race at Horta in the Azores, is an excellent idea which meets many requirements”, explains Denis Hugues, Race Director. “The race rules authorise a change of crew in Horta, and, thus, make it possible for more people to sail (owners, partners, crews, technical teams) and may even allow skippers from other vessels to discover the Class40.”1,280 very technical and dynamic miles will await the crews on their way from the Portuguese archipelago to La Rochelle, where the adventure ends. “Here again, winter low pressure systems may be tough on the fleet, especially in the Gulf of Gascony, and we will make all the necessary arrangements to ensure that we are able to delay the departure from Horta in order to guarantee a maximum of safety for the teams” ,explains Denis Hugues. “Avoiding anti cyclones may force the competitors to greatly extend their route, maybe as far as the south of Ireland. As we have seen in previous races departing from Horta, things will be wide open for the final sprint. We will be particularly attentive to sea conditions when making decisions about the departure from the Azores.”In short, a final stage of the race in the Pertuis Rochelais that could be thrilling when the competitors may arrive neck and neck at the finish line on Saturday and Sunday 13 and 14 April. Several partners have confirmed their presence for this first edition with the Guadeloupe Region, the Municipality of La Rochelle, the Communauté d’Agglomération de La Rochelle, Horta (Azores), La Rochelle Marina, the Grand Port Maritime de La Rochelle, the Department of Charente-Maritime, not to mention the Nouvelle-Aquitaine Region, Class40 and FFVoile. -Race crew: Minimum 2 or more.